An estimated 20 million Americans or more suffer from dry eye syndrome. Japanese scientists have found a better alternative. Maqui berry extract is an oral supplement that safely combats dry eyes by boosting the body’s tear production.5,6 As a result, this berry extract can deliver rapid and long-lasting relief for dry, irritated eyes, while also helping to protect the eyes from long-term damage. Insufficient lubrication of the cornea has two critical consequences: discomfort now and eye damage later. Dry eye syndrome has a number of potential causes. People with dry eyes generally don’t produce enough tears, their tears evaporate too quickly, or, most critically, they have a low quality of tear film. Tear film contains three layers—oil, water, and mucous.3 The health of the cornea and conjunctiva require all three layers to be of good quality. The minute quantity of tears produced daily—normally ranging from under 1 mL to just over 3 mL per eye6—needs to lubricate, nourish, and protect the comparatively large surface area of the eye. If the water element (the middle layer) evaporates too rapidly, the remaining tear fluid becomes excessively concentrated,19-21 which in turn impairs many of the tear film’s critical functions. It’s no wonder artificial tears fall short when it comes to treating dry eye: they can’t replicate the complex structure of real tears. Japanese scientists were the first to discover the effects of a standardized extract of maqui berry (Aristotelia chilensis). Maqui is native to a few regions of Chile and southern Argentina,23,24 and contains compounds that help prevent low-grade injury to the lacrimal glands, enhancing their ability to make tears.5 These compounds are called delphinidins, and they fall into the anthocyanin family of plant extracts that are known to fight oxidative damage. Animal research has also found that delphinidins in maqui berries can restore tear production by the lacrimal glands.5 For this study, scientists created a rat model of dry eye by suppressing the animals’ blink reflex in order to allow excessive evaporation from the eye surface. One group of rats was pretreated with maqui berry extract, while the other served as the control. Dry eye syndrome—increasingly common and driven by numerous factors in modern life—causes more than discomfort and over time, it can expose the eye to serious damage. Too little production of either the watery layer, or the oily layer, of tear film results in too-rapid evaporation of tears. Scientists have discovered that a single oral capsule of maqui berry extract taken daily boosts natural, high-quality tear production within 30 days, providing lasting relief and eye protection. Omega-3 fatty acids have been shown to support the tear-production benefits of maqui berry extract by slowing tear evaporation from the eyes. Taken together, these two nutrients address two of the key underlying characteristics of dry eye syndrome. After 30 days, both doses resulted in an approximately 50% improvement in tear production. Regardless of the cause, recent studies have discovered that maqui berry extracts and omega-3 fatty acids can help prevent and reverse dry eyes by helping the body naturally maintain both the quantity—and quality—of tears. Using the same subjects, the study team conducted quality-of-life measurements. All patients completed the standard Dry Eye-Related Quality of Life Score (DEQS) test. This is a reliable questionnaire that consists of 15 items related to the influence of dry-eye syndrome on daily life, including its mental aspect. The overall degree of impairment to quality of life is calculated as a score—with a lower score indicating a greater quality of life. This study underscores maqui berry extract’s clear superiority to eye drops in improving tear fluid production, eye comfort, and quality of life. Recent evidence demonstrates that supplementation with omega-3 fatty acids can also help improve dry eye symptoms. Different from maqui berry extracts, which increase the body’s production of tears, omega-3s help combat dry eyes by slowing tear evaporation from the eyes. These findings suggest that omega-3 fatty acids support the meibomian glands, which produce the vital lipid layer of the tear film and prevent overly rapid tear evaporation. Omega-3s, therefore, appear to be the perfect complement to maqui berry extract, which supports enhanced production of the aqueous (watery) layer of the tear film. Are Your Eyes Dangerously Dry? Episodes of excess tears following very dry eye periods. 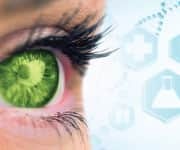 Dry eye syndrome is an increasingly common condition that causes discomfort and reduced quality of life in the short-term and that can damage eye tissue in the long-term. A sufficient amount of tears and a healthy quality of the tear film are essential for protecting the cornea from infection and delivering critical nutrients. Damage and inflammation caused by dry eyes leads to further tear reduction, creating a vicious cycle. A natural, orally-administered extract of the maqui berry has been shown to soothe eyes from the inside out by stimulating healthy tear production and enhancing eye comfort. For additional support, omega-3 fatty acids have been found to help slow tear evaporation from the eye. Together, these two nutrients help combat the key characteristics of dry eye syndrome. Gayton JL. Etiology, prevalence, and treatment of dry eye disease. Clin Ophthalmol. 2009;3:405-12. 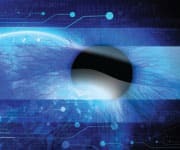 Available at: http://www.aoa.org/patients-and-public/eye-and-vision-problems/glossary-of-eye-and-vision-conditions/dry-eye?sso=y. Accessed March 6, 2017. Moon SW, Hwang JH, Chung SH, et al. The impact of artificial tears containing hydroxypropyl guar on mucous layer. Cornea. 2010;29(12):1430-5. Available at: https://www.drugs.com/sfx/restasis-side-effects.html. Accessed March 6, 2017. Nakamura S, Tanaka J, Imada T, et al. Delphinidin 3,5-O-diglucoside, a constituent of the maqui berry (Aristotelia chilensis) anthocyanin, restores tear secretion in a rat dry eye model. Journal of Functional Foods. 2014;10:346-54. Hitoe S, Tanaka J, Shimoda H. MaquiBright standardized maqui berry extract significantly increases tear fluid production and ameliorates dry eye-related symptoms in a clinical pilot trial. Panminerva Med. 2014;56(3 Suppl 1):1-6. Available at: https://nei.nih.gov/health/cornealdisease. Accessed March 6, 2017. Available at: https://nihseniorhealth.gov/dryeye/whatisdryeye/01.html. Accessed March 6, 2017. Tounaka K, Yuki K, Kouyama K, et al. 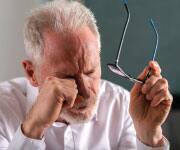 Dry eye disease is associated with deterioration of mental health in male Japanese university staff. Tohoku J Exp Med. 2014;233(3):215-20. Le Q, Zhou X, Ge L, et al. Impact of dry eye syndrome on vision-related quality of life in a non-clinic-based general population. BMC Ophthalmol. 2012;12:22. Cho YK, Archer B, Ambati BK. Dry eye predisposes to corneal neovascularization and lymphangiogenesis after corneal injury in a murine model. Cornea. 2014;33(6):621-7. Available at: https://www.aao.org/newsroom/eye-health-statistics. Accessed March 6, 2017. Parihar JK, Jain VK, Chaturvedi P, et al. Computer and visual display terminals (VDT) vision syndrome (CVDTS). Med J Armed Forces India. 2016;72(3):270-6. Porcar E, Pons AM, Lorente A. Visual and ocular effects from the use of flat-panel displays. Int J Ophthalmol. 2016;9(6):881-5. Yazici A, Sari ES, Sahin G, et al. Change in tear film characteristics in visual display terminal users. Eur J Ophthalmol. 2015;25(2):85-9. Azuma M, Yabuta C, Fraunfelder FW, et al. Dry eye in LASIK patients. BMC Res Notes. 2014;7:420. Bron AJ, Tomlinson A, Foulks GN, et al. Rethinking dry eye disease: a perspective on clinical implications. Ocul Surf. 2014;12(2 Suppl):S1-31. Foulks GN. 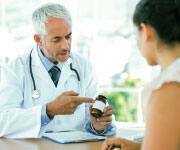 Pharmacological management of dry eye in the elderly patient. Drugs Aging. 2008;25(2):105-18. Yagci A, Gurdal C. The role and treatment of inflammation in dry eye disease. Int Ophthalmol. 2014;34(6):1291-301. Garcia-Resua C, Pena-Verdeal H, Remeseiro B, et al. Correlation between tear osmolarity and tear meniscus. Optom Vis Sci. 2014;91(12):1419-29. McCulley JP, Uchiyama E, Aronowicz JD, et al. Impact of evaporation on aqueous tear loss. Trans Am Ophthalmol Soc. 2006;104:121-8. Horwath-Winter J, Schmut O, Haller-Schober EM, et al. Iodide iontophoresis as a treatment for dry eye syndrome. Br J Ophthalmol. 2005;89(1):40-4. Available at: https://plantsforhumanhealth.ncsu.edu/healthy-living/maqui-berry-2/. Accessed March 7, 2017. Suwalsky M, Vargas P, Avello M, et al. Human erythrocytes are affected in vitro by flavonoids of Aristotelia chilensis (Maqui) leaves. Int J Pharm. 2008;363(1-2):85-90. Tanaka J, Kadekaru T, Ogawa K, et al. Maqui berry (Aristotelia chilensis) and the constituent delphinidin glycoside inhibit photoreceptor cell death induced by visible light. Food Chem. 2013;139(1-4):129-37. Benitez-Del-Castillo JM. 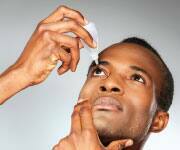 How to promote and preserve eyelid health. Clin Ophthalmol. 2012;6:1689-98. Knop E, Knop N, Schirra F. Meibomian glands. Part II: physiology, characteristics, distribution and function of meibomian oil. Ophthalmologe. 2009;106(10):884-92. Walcott B. The Lacrimal Gland and Its Veil of Tears. News Physiol Sci. 1998;13:97-103. Schnetler R, Gillan W, Koorsen G. Lipid composition of human meibum: a review. S Afr Optom. 2013;72(2):86-93. Available at: https://www.hopkinssjogrens.org/disease-information/diagnosis-sjogrens-syndrome/schirmers-test/. Accessed March 7, 2017. Aljarousha M, Badarudin NE, Che Azemin MZ. Comparison of Dry Eye Parameters between Diabetics and Non-Diabetics in District of Kuantan, Pahang. Malays J Med Sci. 2016;23(3):72-7. Ibraheem WA, Ibraheem AB, Tjani AM, et al. Tear Film Functions and Intraocular Pressure Changes in Pregnancy. Afr J Reprod Health. 2015;19(4):118-22. Chung SH, Myong JP. Are higher blood mercury levels associated with dry eye symptoms in adult Koreans? A population-based cross-sectional study. BMJ Open. 2016;6(4):e010985. Conrady CD, Joos ZP, Patel BC. Review: The Lacrimal Gland and Its Role in Dry Eye. J Ophthalmol. 2016;2016:7542929. Available at: http://www.health.harvard.edu/diseases-and-conditions/dry-eye-syndrome. Accessed March 7, 2017. Gatell-Tortajada J. Oral supplementation with a nutraceutical formulation containing omega-3 fatty acids, vitamins, minerals, and antioxidants in a large series of patients with dry eye symptoms: results of a prospective study. Clin Interv Aging. 2016;11:571-8. Bhargava R, Kumar P, Kumar M, et al. A randomized controlled trial of omega-3 fatty acids in dry eye syndrome. Int J Ophthalmol. 2013;6(6):811-6. Su TY, Chang SW, Yang CJ, et al. Direct observation and validation of fluorescein tear film break-up patterns by using a dual thermal-fluorescent imaging system. Biomed Opt Express. 2014;5(8):2614-9. Liu A, Ji J. Omega-3 essential fatty acids therapy for dry eye syndrome: a meta-analysis of randomized controlled studies. Med Sci Monit. 2014;20:1583-9. Available at: https://nei.nih.gov/health/dryeye/dryeye. Accessed March 7, 2017.